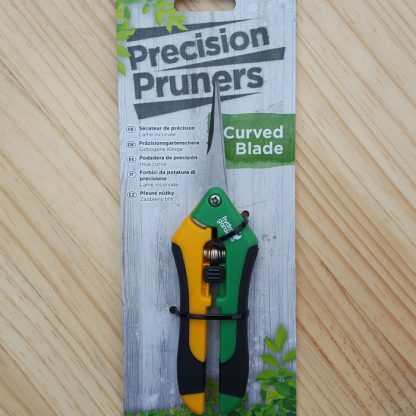 Precision Pruner Curved Blade are favored by thousands of horticulturists from weekend gardeners to professional growers and flower trimmers – but with the added feature of curved blade tips, which give you even more maneuverability in tight places among delicate flowers and stems. The Precision Pruner Curved Blade features razor-sharp stainless steel blades, with perfectly balanced construction and a lightweight, ergonomic design. Discover why so many growers prefer our pruners to all others. Please note: that color and make of Pruner may vary depending on supply.